We’re big believers here in H&G that, sometimes, the obvious route isn’t the most compelling one. 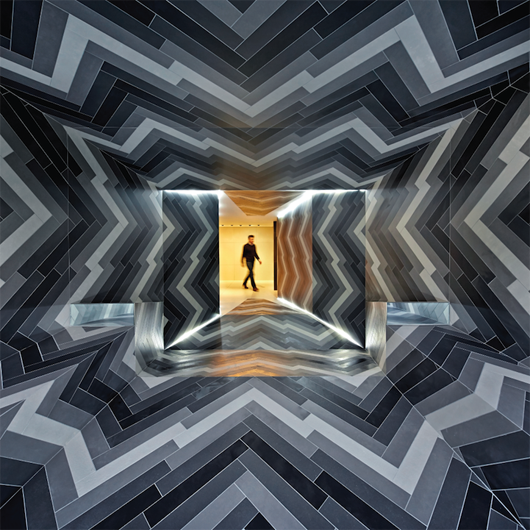 Which is probably it was with some absolute joy that we spotted this particularly lateral piece of thinking: as a bunch of artists have created an utterly mesmeric way of showing off the power of the porcelain tile. 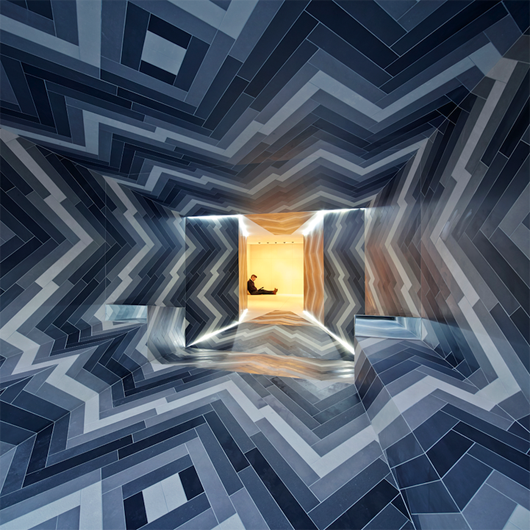 The back-story is that Capitol Designer Studio (a tile company), asked Lily Jencks and Nathanael Dorent to create an installation to show off the potential of designing with tile that would be a bit … arresting. The duo decided a pattern by going from dark to light to back to dark “like a pulsating wave”. The lovely thing is that, not only does this space look utterly stunning, but it’s also a space that is open to the public: as it’s open to all public from March until November this year. What’s more, Capitol Designer Studio will be running a series of workshops and various other events throughout the year.